Promotion time: 11 a.m. - 7 p.m. Hurry up! 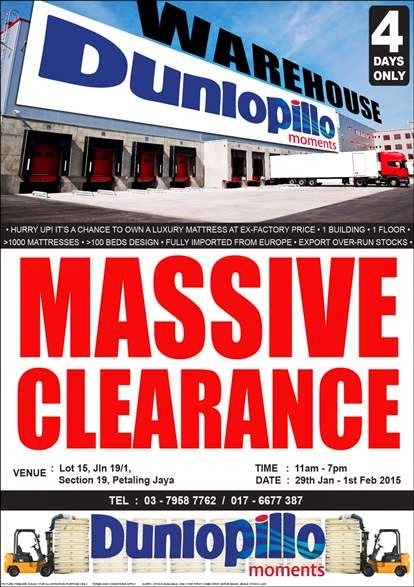 It's a chance to own a luxury mattress at ex-factory price! 1 building. 1 floor. More than 1000 mattresses. Over 100 beds design. Fully imported from Europe. Export over-run stocks. All at massive clearance price!